When it comes to side dishes, mashed potatoes are a worldwide favorite that goes along with just about every meal we can conceive of. That being said, as simple-seeming as it is to boil some potatoes and mash them into a delectable, creamy treat to accompany your main dish, there is a lot that can go wrong during your cooking process, and can easily turn your glorious, fluffy taters into a flavorless, gooey, gummy mess. Whether it’s because you cooked them too long or just didn’t have enough water in your pot, any number of factors can get in the way of perfect mashed potatoes. Fortunately, there are a few things you can adjust to make sure you never have to look at a face full of disappointment after someone bites into your delicious-looking potatoes only to find that they are bland or worse…gross! Below you will find the common mistakes to avoid when making mashed potatoes, and a few helpful tips to take your recipe to the next level! 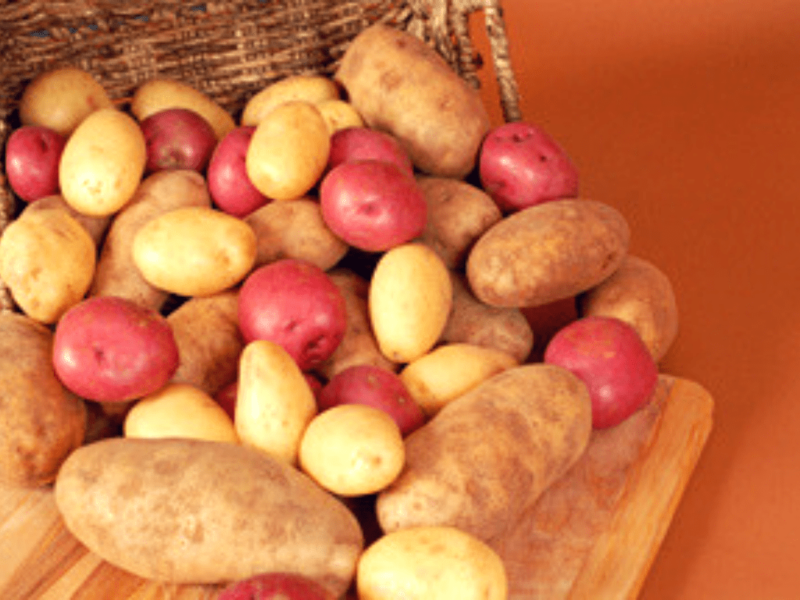 How Many Types Of Potatoes Are You Using In Your Mash? If your answer to this question is one, then there is your first mistake. 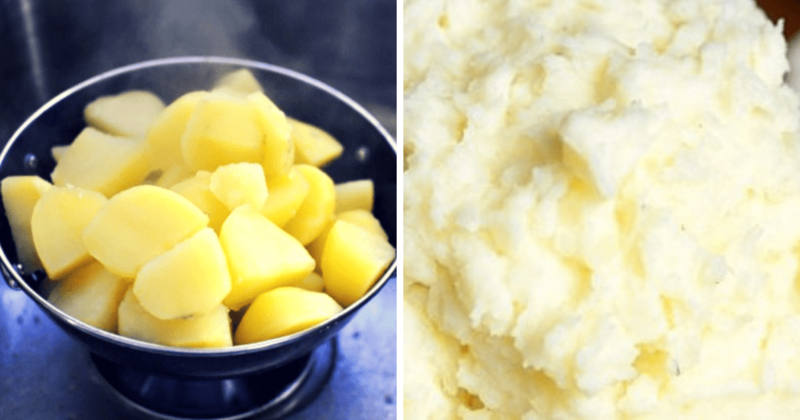 If you asked a large crowd how they go about making their mashed potatoes, the majority of them will tell you that they use one specific type of potato, be it russet, gold, or red. Unfortunately, this also means that most people are missing out on all of the amazing flavor and texture that gets added to your mashed potatoes by using at least two or more varieties in the recipe. According to popular DIY and food blogger, One Good Thing by Jillee, adding in different types of potatoes to your recipe adds a flavor that’s desirable in mashed potatoes due to the different starch ratios in each variety, as well as their differing textures. Potatoes of any type are a pretty versatile food when it comes to flavor combos. 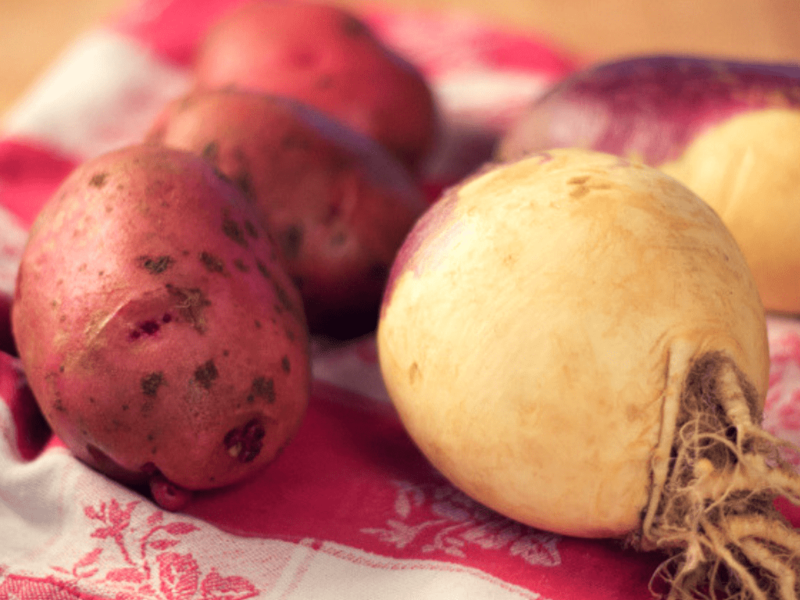 They go well with just about anything, including other root vegetables. 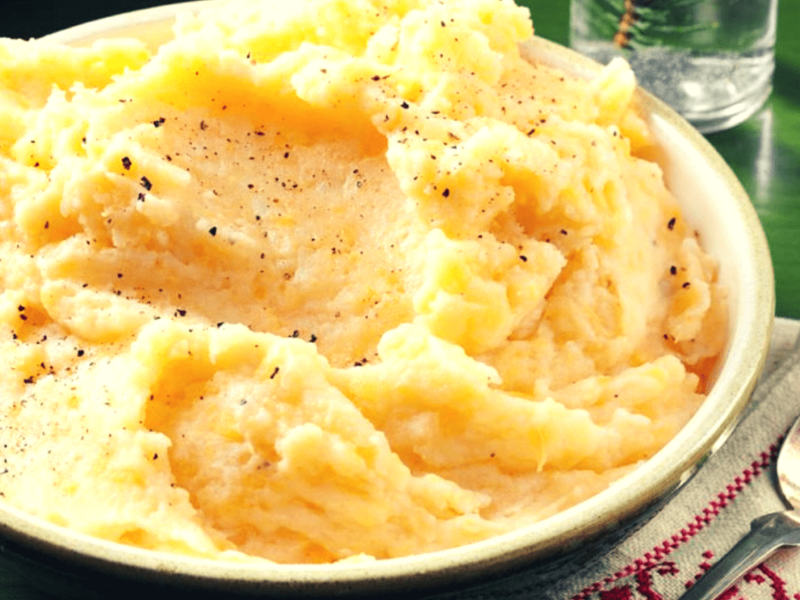 Combining your mashed potatoes with a second or even third starchy root veggie can seriously take your mashed potato recipe to the next level by adding a rich depth of flavor and luxurious texture to your mash. These include rutabagas, sweet potatoes, turnips, parsnips, carrots, and for a truly amazing flavor profile, Jerusalem artichokes (a.k.a. sunchokes). You can add any number of these to the potatoes as they boil and then mash them all up together once fully cooked for a dreamlike texture and mouthwatering flavor your guests will rave about! If you’re worried it will take away from the trusty taste of your potatoes, don’t. Rather than overpowering the delicious, earthy taste of your taters, adding in other root veggies will only serve to intensify the flavor of your tasty tots even more, making them richer and creamier than just the potatoes alone. When It Comes To Boiling Potatoes, Size Does Matter! Yet another incredibly common mistake people make when preparing potatoes for mashing is getting too chop-happy. 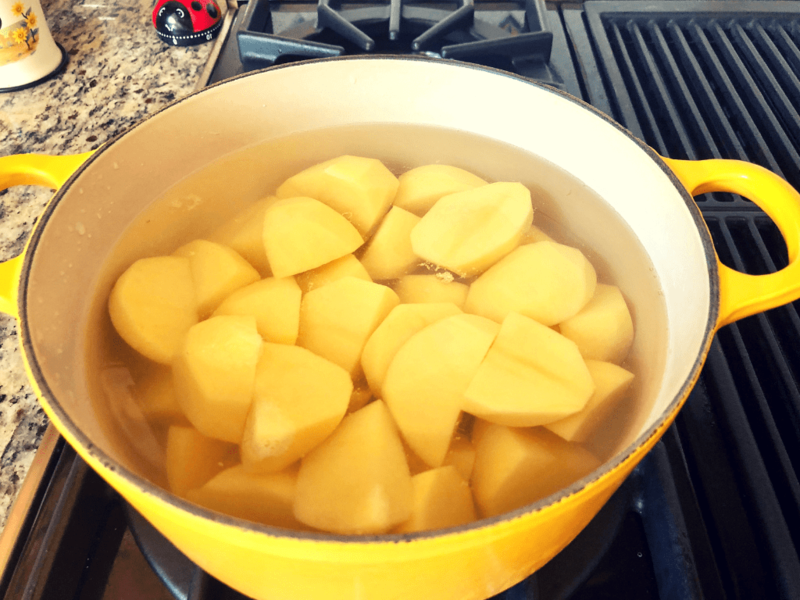 Most folks are wise enough to know that by cutting the potatoes into smaller pieces before they put them in water to boil, the potatoes will cook much faster than larger chunks. What they don’t seem to know, unfortunately, is that this one small thing can ruin what could otherwise be perfect mashed potatoes. This is because larger chunks of potatoes don’t absorb in as much of the water as smaller chunks. So when potatoes are chopped too small, they hold in all of that extra water and release it once you begin to mash them, which strips your potatoes of their flavor and leaves you with a soggy heap of flavorless starch in place of your flavorful mashed tatties. 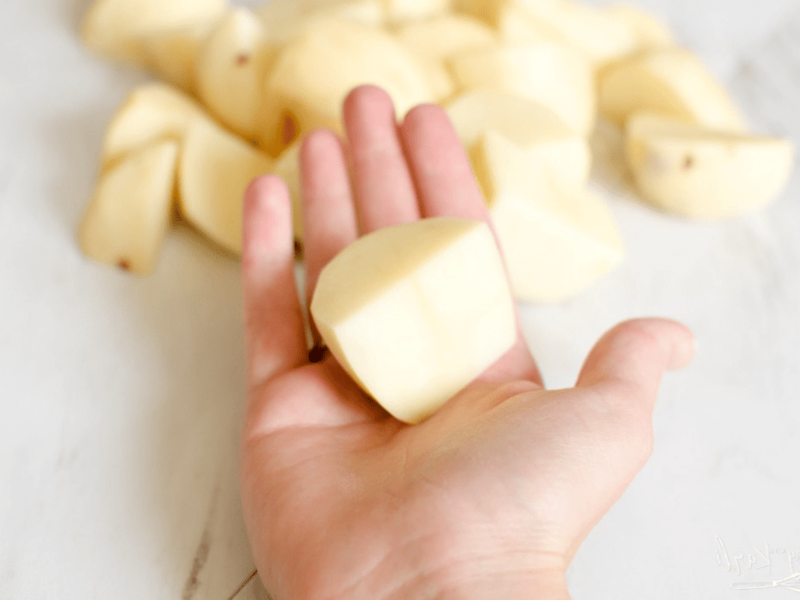 Avoid this common mistake by cutting your potatoes into 2″ chunks or larger before putting them to boil, or better yet, boil them whole! Many people simply turn off their heat and move their potatoes off to the side before getting ready to mash them, water and all. This is truly unfortunate, as this seemingly standard practice can lead to many of the same problems mentioned above. When your potatoes are done boiling they should immediately be drained of any excess water. Otherwise, your chunks of potatoes will just act like a sponge and continue to draw in water that will be released into your dish later. 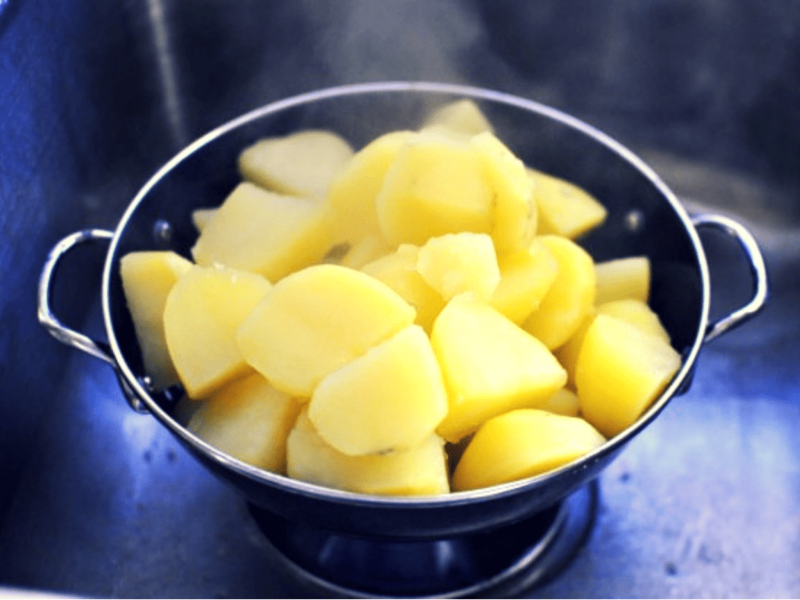 Soggy potatoes will destroy the taste as well as the texture of your mashed potatoes if you let them sit in the water for any longer than they have to, so do yourself a huge favor by simply making sure to strain your potatoes directly after removing them from the heat. Don’t get us wrong, food processors are one of the best tools in a kitchen’s arsenal…just not when it comes to mashing potatoes. Granted, you can dump a bunch of boiled potato chunks into one and have them whipped smooth in a few seconds flat, but looks are about the only thing you **might** find satisfactory about your mashed potatoes if you do it in this way. 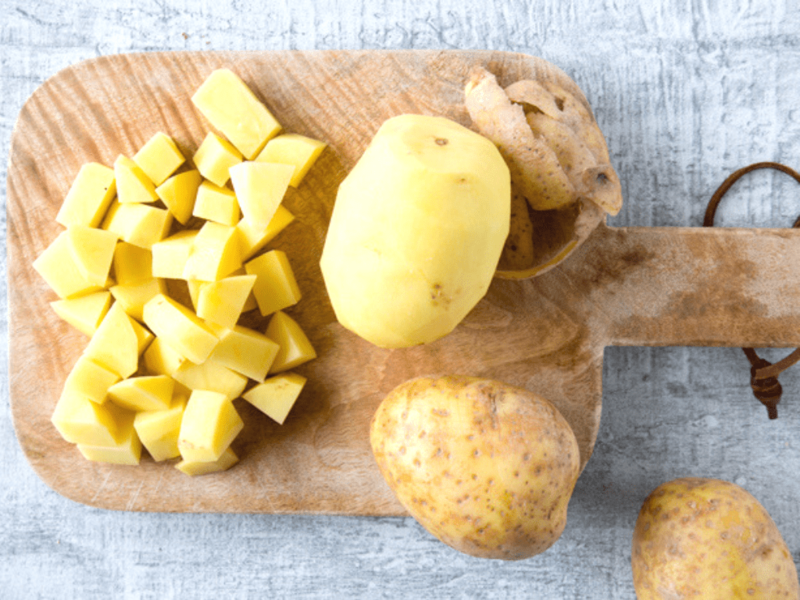 The reason is that those small, sharp blades are effective at their job, and when put to potatoes it will release all of the starches holding the structure of your potatoes together. The excess starch will turn your potatoes into a sticky, gooey, uncompromising mess while destroying the flavor in your mash to boot. 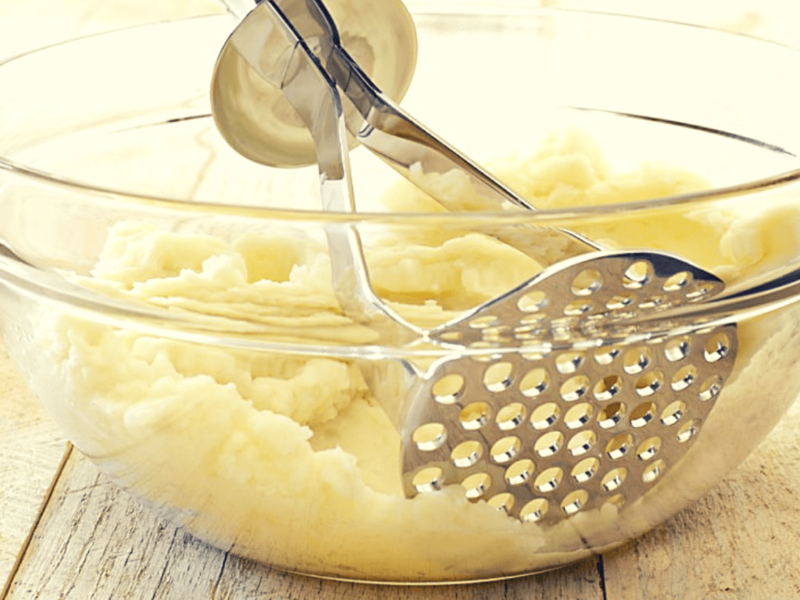 For truly perfect mashed potatoes, go old school and mash it by hand with a potato masher. BONUS TIP: wavy mashers=lumpier texture and grid patterned mashers=creamy texture. 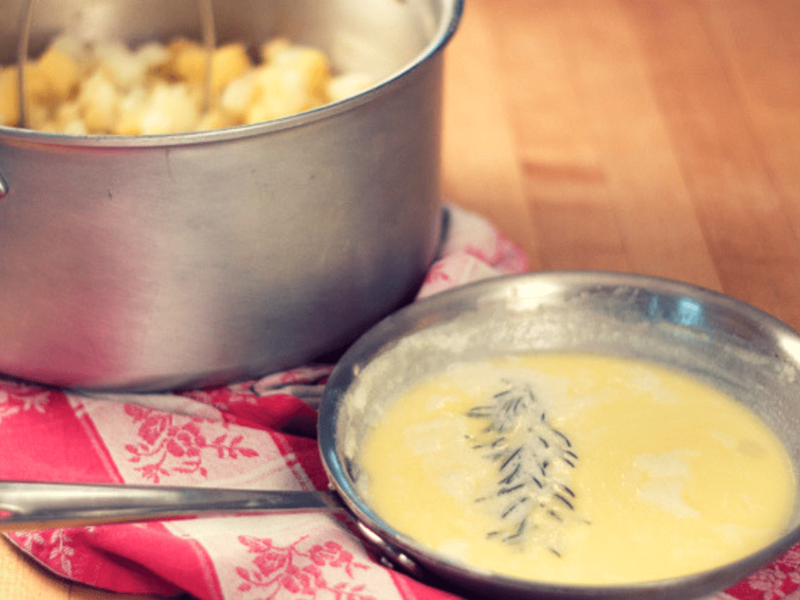 Many people like to add different types of liquid to their mashed potatoes to add richness and flavor. That’s all fine and well, but they need to be warmed up first. You aren’t doing yourself any favors by slaving over a hot pot of potatoes only to add in cold liquids at the end and lose all that precious heat. Whether it be broth, cream, or milk, heating them up first will go a long way in making sure they are still nice and hot when they reach the plate. One way to do this is by heating it up with the butter and whatever else you might add to your mash in a frying pan before adding it into the potatoes. This will release some extra flavor from your seasonings and warm your liquids at the same time! If you take these tips into consideration the next time you whip up some mashed potatoes, your “side dish” will be the star of the meal. So, don’t expect there to be any leftovers when the party’s over!